How Do Rising Interest Rates Effect Multifamily Real Estate Values? How Do Rising Interest Rates Effect the Outlook for Multifamily Real Estate Values? The ten year Treasury rate ascended more than 70 basis points in the two months following this year’s presidential election. The Federal Reserve has stated its intent to increase interest rates throughout 2017. Freddie Mac and Fannie Mae loan programs were created by Congress to perform an important role in the nation’s housing finance system – to provide liquidity, stability and affordability to the mortgage market. They provide liquidity (ready access to funds on reasonable terms) to the thousands of banks, savings and loans, and mortgage companies that make loans to finance housing. These two loan programs have had the biggest jump in their interest rates, as these two loan programs are directly connected to these long-term metrics. Many multifamily investors were once enamored by new low interest rates. Now, many multifamily investors have become desensitized and spoiled by interest rates under 4%. The days of interest rates in the low to high teens does not seem to be impending by any means, however, the chances of interest rates being higher in 5 years from now seems much more feasible given the historical trends of interest rates. In the mid-2000’s we were in an interest rate environment that cost the investor typically around the mid 5% to low 6%. These rates, although historically low for the time, seem to be the direction that the Feds are wanting to incrementally achieve again. Multifamily assets have started to and will continue to be effected by rising interest rates. The question that remains in the minds of many multifamily investors is, when and by how much? We have seen, especially in the newer multifamily product, values dropping as low as 8-12% just in the last 90 days alone. Investors that are considering buying a 4.25-4.75% cap rate with debt levels above 4%. With the threat of increasing interest rates the effect is to either retract their plans to purchase or at the very least rethink their investment strategy. Larger, more institutional capital with “patient money”, could afford to chase smaller margin deals that only yielded 3% returns. Those returns continue to shrink and several institutional capital firms are now contemplating a holding pattern. Even if the holding period becomes a “wait and see” attitude to keep capital on the sidelines until there is more certainty, clarity or direction with the new administration to achieve some degree of positive leverage, cap rates, must at some point fundamentally retreat backwards. This could equate closer to 5% cap rate, depending on the product and proximity to the core and Trans Oriented Development areas for newer built product. To put that into perspective, this equates to about a 10-12% decrease in multifamily asset value! Recent built apartment buildings are realizing less and less rent growth as more competition comes to the multifamily market. Although demand seems to be steady, concessions are currently occurring in many new projects and a month (or two) may be the new norm. In the future this translates to investors drawing back on what they were once willing to pay for an apartment investment property. The different apartment building classes will not all experience these changes in the same way. When it comes to class B and class C apartment buildings, the effect may not be seen quite as immediately or dramatically as the class A apartment buildings. One could make this conclusion because class B and class C apartment assets trade with higher cap rates due. 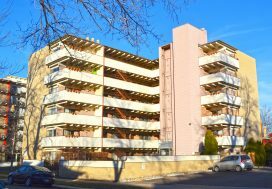 In the current Denver multifamily climate, older multifamily product is trading in the low 5% cap rate ranging to high 7% depending on the property’s location and condition. For example a B product in the core could trade at a 5% cap rate or even lower in some cases. 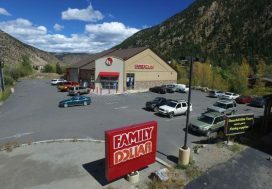 The strategy in this example is to buy, renovate and achieve not only rents that are more competitive than the A product but also the end yield is considerably higher than the A product purchases. In terms of B and C properties, the delta in interest rate to the cap rate ratio allows for the increase in interest rates to be absorbed without the dramatic increase to cap rates. Value-add types of multifamily real estate product have also felt pressure. Pro-forma rents are becoming more of an unsure measuring tool for stress testing the sufficient future returns on an older renovated property. At some point the concessions for the A product trickle down to the B and C product to compete with the highly amenities’ newer construction product. 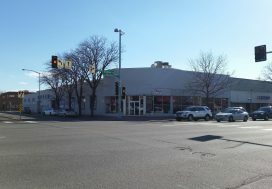 For example, if the rent for a 1 bed 1 bath in central Denver that was built in 1970 pushes to $1,200 and has very little amenities such as no parking and only a laundry room for a perk; that property could be competing against a 1 bed 1 bath new construction that has parking, a dog wash, a lazy river and a balcony for $1,700 with two months free rent yielding the tenant a net savings. That scenario transpires into the B Class building lowering rent, etc. This has happened in our market and we know history repeats itself. To conclude, B class and C class multifamily asset types will have a stronger outlook moving forward than the class A product in terms rent growth. Developers are simply unable to build what would rival B and C class product due to available and affordable land, not to mention the development’s hard and soft costs. In the past, interest rates have allowed values to continue to climb upwards at a staggering rate. This will continue to be a main point of discussion that forgoes 2017 along with how values can be softened. For more information, please contact Greystone Unique Apartment Group .